What does the future hold for Ridgefield? Could wine making play a role? Should investors be considering Ridgefield now? Find all this and more in the Port of Ridgefield’s SUMMER Newsletter! Find it in print INSIDE the July 8 issue of The Reflector, read it online here, or pick up a copy around town. As the Port of Ridgefield moves ahead in its efforts to encourage quality development in the rapidly-growing Discovery Corridor just north of Portland, Ore., the economic development municipality recently created and filled a new position to boost those efforts. Today the Port announced it has tapped life-long Clark County resident Nelson Holmberg as Vice President of Innovation. Holmberg started with the Port on June 15. Port Chief Executive Officer Brent Grening said the timing – and the person – are right. Holmberg’s duties at the Port of Ridgefield will be to identify and secure new opportunities and revenue streams for the Port. This white tailed kite nest was spotted on a pole at the waterfront, just south of Division Street. Thanks to Carolyn Almond who pointed it out to me. The bird was not around when I went down to look, but Carolyn and her friend, who were on their daily walk, got a good look at it. It’s gray above with black shoulders, white below with black wrist patches, according to my bird book. The Ridgefield Fourth Annual Big Paddle is coming – bigger and better than ever!! You won’t be able to miss it because First Saturday will be happening in historic downtown Ridgefield – with a pancake breakfast available from 7 to 9am outdoors at the Sportsmans Restaurant and Lounge before the paddle begins. The Farmer’s Market will be at Overlook Park from 9-2, with cardboard boat races and live music. Downtown businesses will be open and members of the Ridgefield Arts Association will have a pop-up booth at the park. Polyroux Music Festival by Opus will be on stage from 2-4pm, and 6-8pm at the Old Liberty Theater. The anniversary celebration and toast is for multiple agencies that are active in supporting the Wildlife Refuge, the water trail and other outdoor activities and the Big Paddle including Ridgefield Kayak (10 years), Cathlapotle Plankhouse (10 years), Friends of the Refuge (15 years), Lower Columbia Estuary Partnership (20 years), the National Wildlife Refuge (50 years) and the Port of Ridgefield (75 years). The Port of Ridgefield is seeking tenants for an 112,000 sq. ft. industrial building it plans to construct on Port-owned property just south of the Ridgefield Industrial Park. The Port is in the home stretch on a site plan, elevations and permitting for the project, paving the way for a short time frame to completed construction once leases are in place. A sale of the building at 11th Street, once constructed, would also be considered by the Port; outright uses on the property include office, warehouse or light industrial activities. “The building can be home to one tenant, or as many as four,” said Port CEO Brent Grening. 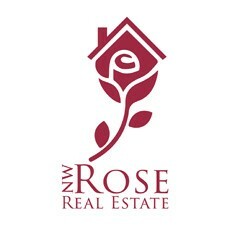 The property is located west of the current terminus of South 11th Street in Ridgefield, near Parr Lumber and Agave Denim and just a stone’s throw from I-5. In 1984, the Port of Ridgefield purchased a 78-acre parcel of land to create the Ridgefield Industrial Park. Today, the industrial park and adjacent development is home to approximately two dozen businesses that provide hundreds of jobs. Development at the park over the years sparked growth nearby. Port CEO Brent Grening sees the construction of the building at 11th Street as a proactive effort by the Port to draw more business to Ridgefield. “Demand continues at that location, and the Port is pleased to be in the position of investing to attract more commerce to the area,” Grening said. Last year Elie Kassab, President of Vancouver-based Prestige Development, purchased a parcel on 11th Street for industrial development through his company, ROK Development. For more information visit the Port’s website, choose the “Opportunity” navigation tab and click “11th Street Building.” Interested parties should contact Grening at the Port by calling (360) 887-3873 or Scott Fraser, Senior V.P., Kidder Mathews, (503) 515-8888. Washington State Department of Ecology is hosting an open house for residents and property owners in the neighborhood between Mill and Maple Streets and from Main Avenue to the railroad. Ecology is proposing to sample soil from people’s yards to test for the presence of contaminants related to the Pacific Wood Treating Company Mill. 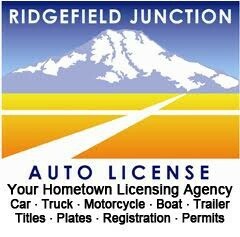 The meeting is scheduled for March 10th at the Ridgefield Community Center. The meeting is open to the public. Ecology will be making a formal presentation, however a firm start time has not been announced. The Washington State Department of Ecology and the Port of Ridgefield have been working to clean up the environmental contamination caused by the former Pacific Wood Treating Company (PWT) mill on the Ridgefield waterfront. The mill operated between 1963 and 1993. The clean up project is nearing completion. However, in investigating the extent of contamination emanating from the mill property, elevated levels of dioxin were discovered in the public right-of-ways between Mill and Maple Streets and Main and the railroad. Ecology is concerned that dioxins may also be present in people’s yards. When ingested, dioxins may cause cancer. Therefore, Ecology is seeking permission from property owners to collect soil samples from people’s yards. Ecology will then test these samples for dioxins. Ecology will then report their findings back to the property owners. If elevated levels of dioxin are found in the study area, Ecology will determine what additional actions are necessary and inform the residents and property owners. The Washington Public Ports Association (WPPA) named the Port of Ridgefield as the recipient of its annual Port of the Year Award at a Dec. 12 ceremony in Bellevue. WPPA has made this award each year since 1987 to recognize a member port that has demonstrated exceptional success in the industry. There are currently 75 member ports operating within Washington State. While the port’s nomination application included a host of development projects completed within the last year totaling over $9 million, WPPA cited the port’s extensive, multi-year, $90 million environmental cleanup of the Port of Ridgefield’s 41-acre waterfront site – Millers’ Landing – as the determining factor for the award. The site was cleared for development late last year. To view the Port of Ridgefield’s complete Port of the Year award application, visit www.portridgefield.org and click on the link in the “What’s New” section on the Home page. For more information about the WPPA, visit www.washingtonports.org. For months, the Port of Ridgefield has been searching for banking services that will allow the port to move forward with construction and development projects that support the port’s mission to bring jobs and commerce to Ridgefield. Recently, with the help of Walla Walla, Wash. – based Banner Bank, the port secured access to $2M in funding, paving the way for this investment by the port. At its Nov. 12, 2014 commission meeting, Port of Ridgefield commissioners voted unanimously to approve the issuance of two limited-tax general obligation bonds totaling $2M; one $1.25M bond that is taxable, and a $750,000 bond that is tax-exempt. The bonds will be purchased by Banner Bank. Proceeds of the bond sales will be used by the port to construct a new industrial building in Ridgefield. Banner Bank representatives proposed this funding structure to help the port with its financing efforts. The bank has committed to purchasing those bonds through a private sale, and will extend funds to the port as needed in a line-of-credit arrangement for approved development projects. The funds will be available to the port in 30 days, and must be drawn down in total within 12 months. “We are very grateful that Banner Bank is helping us invest back into our community,” said Brent Grening, CEO for the port. Gail Alexander of Ridgefield Kayak sent these photos of the work going on down at the waterfront as several pilings were taken out. Thanks Gail! Lots of people enjoyed the Port’s Ice Cream Social! Sunny skies, comfortable temperatures and the prospect of free root beer floats, raffle prizes, and words from the Port about Ridgefield’s readiness for growth drew hundreds of Ridgefield citizens, elected officials, and other well-wishers to Ridgefield’s Overlook Park recently. In addition to ice cream, party-goers were treated to music by the Hometown Harmony Quartet, Stir Crazy and Scott(Howard)Richardson, a local bagpiper. Ridgefield High School cheerleaders also entertained the crowd with their rendition of the event slogan, “We’re Ridgefield. We’re Ready. Bring it On!” by performing a cheer to those words. About 20 lucky raffle ticket holders won gift certificates or goods and services from area businesses and organizations. Items included free dinners, massage therapy and even a ride in a limo with Ridgefield’s mayor Ron Onslow and his wife. Port commissioners and CEO Brent Grening focused their messages on the investment made by the Port and others in the community that ready Ridgefield for inevitable population growth, pointing to improvements made by the port’s effort on the waterfront, sewer system upgrades, the highway interchange and the investment made in Ridgefield’s schools. “We’re in the path of progress as Portland grows. Because our community has had the patience to see these projects through that make this a great place to live and conduct business, we are growing, and we will continue to grow, but with quality growth in mind,” said Grening. At his turn at the microphone, Commissioner Scott Hughes emphasized the port’s economic development efforts.“The port is working to bring good, living wage jobs to this community. That’s what we’re doing now, and we’re going to keep doing that,” Hughes said. The event wound down with music and mingling as the sun edged toward the horizon, showcasing a picturesque landscape view from the park. The execution of an Inter-local Agreement between the Port of Ridgefield and the wastewater district at the port’s last commission meeting formalized a money-saving deal for a new, permanent sewer pump station to serve downtown Ridgefield now, and into the future. The district has agreed to reimburse the port around $250,000 of the approximately $500,000 pump station construction cost, and the port will upgrade the pump station to district standards, and include the additional capacity necessary to accommodate the entire future downtown Ridgefield flow. The port and the wastewater district’s partnership in the construction of a single, larger pump station will accommodate development of the port’s waterfront property – Millers’ Landing – and the final phase of the district’s Discovery Corridor Wastewater Transmission System (DCWTS) project. Additionally, the change would mean the district would only need to maintain one pump station in downtown Ridgefield, not two – a cost savings to the district and its ratepayers. Randy Mueller has accepted the position of Executive Director at the Port of Chehalis. 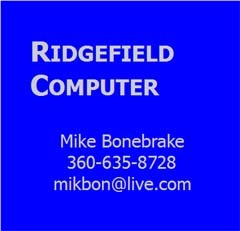 His last day at the Port of Ridgefield will be Friday, June 6th. There will be a farewell reception at the Port office, 111 West Division Street, on Thursday June 5 from 4 to 6 pm. There will be cake! It’s been an honor and privilege working with you all and serving the people of Ridgefield and Clark County for so long. We’ve done some great things, and even better things are in store for you in the future. I am optimistic and excited for the new challenges that await me on my next adventure. Randy’s done a great job as Executive Director and we wish him well in his new position. The Port of Ridgefield Commission will meet April 23 at 3:00 at the Port offices for the purpose of holding a public hearing to hear the reasons of any taxpayer in the district for or against the proposed sale of Lots 4 and 5 of the 11th Street Short Plat, now pending. After the conclusion of such testimony and consideration of such testimony and any staff report, the Commission will determine the advisability of the sale and will enter its decision on the record. A legal description of the property and a map of the property is available for public inspection at the Port Office.